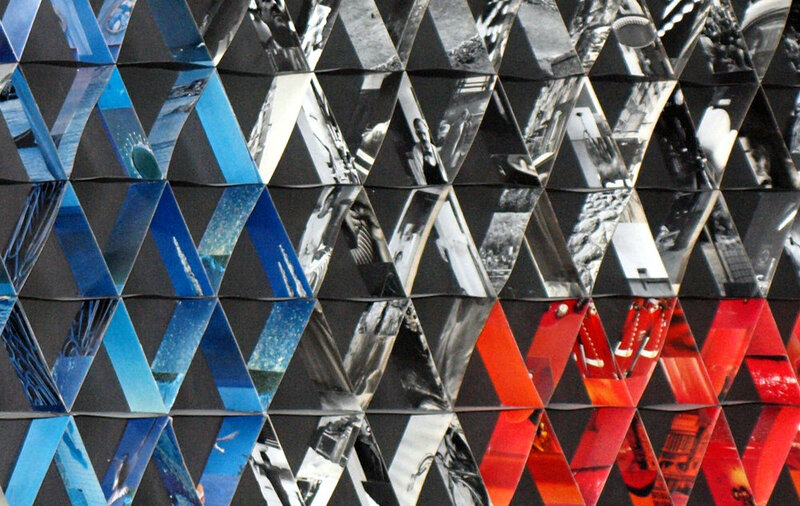 The work consist of a huge house of cards, that looks different seen from both directions. Each card is made by hand using cut out photos from old photography magazines, and dividing the photos by their primary colors. These cards are then used to build the four arrow forms that can be seen, when approaching the work from the left hands side. Walking by the work, you see the colors ant their arrows disappearing. View from the right hands side. Installed at a hospital waiting rooms in Savonlinna. details of the cards, each a tiny artwork in itself. This work is for sale - contact for inquiries!